The Story of Robin Hood is very famous. Robin Hood robbed rich people and gave the money to the poor people. He loved adventure, and he was the best bowman in English. 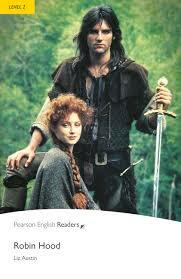 The greedy Sheriff of Nottingham hated Robin, and the beautiful Lady Marian loved him. His most famous adventures are in this book.